KAPE now has extended and enhanced legal coverage for our members in issues that arise from employment rights and certification protection. As soon as any dispute, accusation, or disciplinary action arises in your job, please contact the KAPE office immediately. You will have legal advice and attorney consultation from the beginning until the issue is resolved, even if you are referred to the EPSB. Our KAPE attorney will work with you from beginning to end, and it is not dependent upon a positive outcome for you. 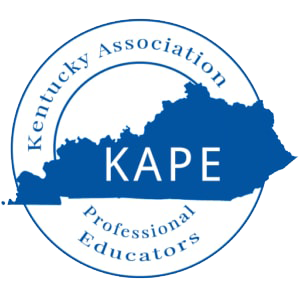 As soon as you notify our Executive Director, Donna House, that you have a pending issue, she will contact our KAPE attorneys to get advice and representation for you, but it is imperative that you contact her the first day you are aware an issue is arising. In many instances, such as being reported to the EPSB, as soon as you are notified by that entity, the clock is ticking regarding your defense. Do not allow time to slip by and do not ignore any action your administrators take against you. Donna is also a state certified paralegal who works under the supervision of the KAPE attorneys. She is able to make recommendations for you and to attend some types of meetings so that you have representation at the beginning or initial stages of issues. She has been certified as a CKP since 2014. You can contact Donna House directly at donnaghouse4kape@gmail.com.